The lettuce is growing. I know who planted it (me! ), what it’s been sprayed with (nothing! ), and it will go directly from my patio to my table. No packaging, no chemicals that help it keep the color and no added nutrients. Just real food that I watched grow. There are many contradictions in my life, I smoke and I try to eat healthy. I drink and I worry about alcoholics. I am obviously not perfect, just a person that does things in an effort to be happy. I try (TRY) not to judge and I try (TRY) to be a good person. 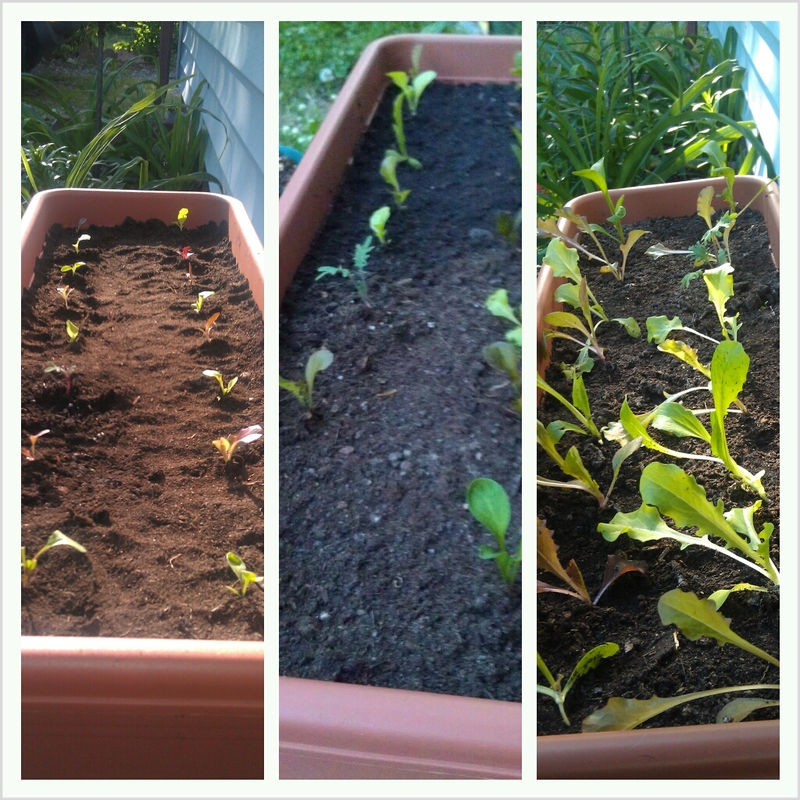 I am growing lettuce and spinach in my garden for the first time and I am so excited. Good for you for trying to grow organic! Thank you! Good luck with your greens!